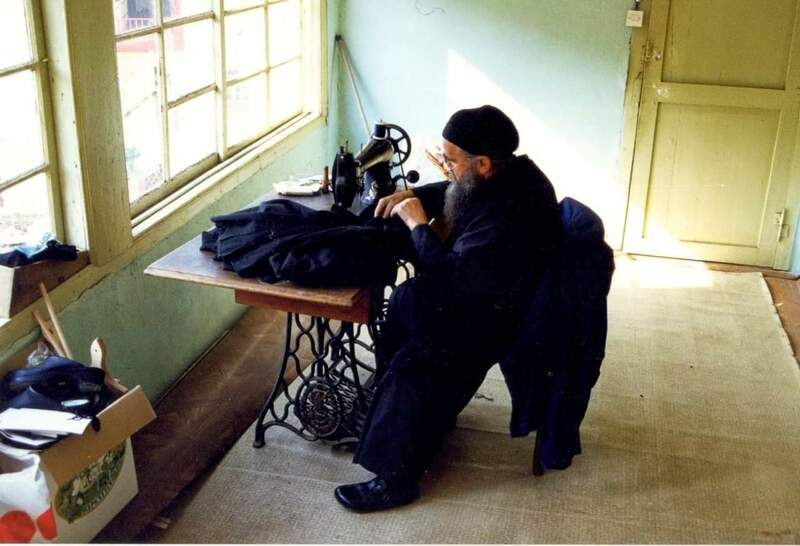 ΑΠΑΝΤΑ ΟΡΘΟΔΟΞΙΑΣ: Elder Cyrill of Hilandar monastery (reposed in 2018) making vestments. Notice the old sewing machine. Elder Cyrill of Hilandar monastery (reposed in 2018) making vestments. Notice the old sewing machine. Αναρτήθηκε από PROSKINITIS στις 3:00 μ.μ.